WASHINGTON — Facebook will turn over new information to congressional investigators looking into Russia's attempts to influence the 2016 election, Rep. Adam Schiff said Wednesday after attending closed-door meetings with Sheryl Sandberg, the company's chief operating officer. "I asked about not just the advertisements, but all the 'organic content' that went along with them or was independent of them, and they are committed to providing that information to us," said Schiff, the top Democrat on the House Intelligence Committee, referring to posts from user accounts that were not purchased as ads. Facebook already has given congressional investigators 3,400 ads believed to be linked to alleged Russian efforts to interfere in the election. Sandberg made the rounds on Capitol Hill at a moment of high tension between Washington and Silicon Valley. Her company in particular is trying to demonstrate that it is being cooperative in advance of a public hearing next month that is expected to feature Facebook, Twitter and Google executives testifying about the use of their platforms in the election. In addition to Schiff and Rep. Mike Conaway, the Texas Republican leading the Russia probe, Sandberg sat down separately with House Majority Leader Kevin McCarthy and Minority Leader Nancy Pelosi, both of California, and other lawmakers. 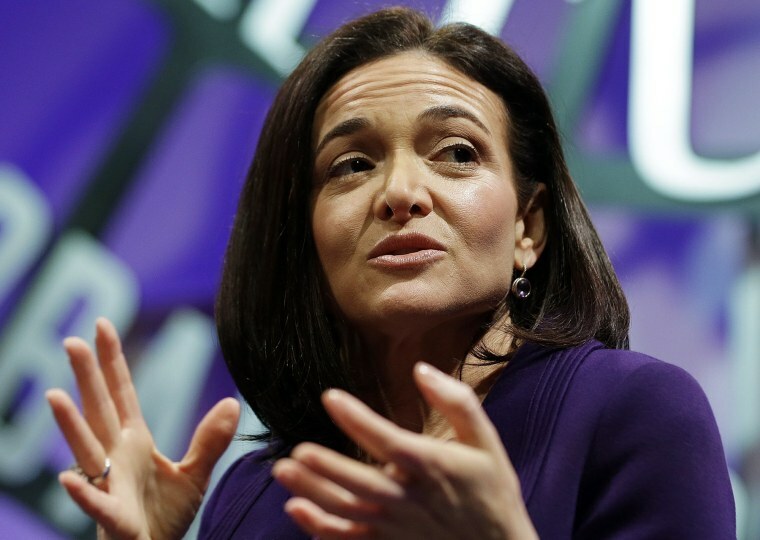 Though Sandberg has given hundreds of thousands of dollars in campaign contributions to mostly Democratic candidates and causes, including Hillary Clinton's 2016 presidential campaign, she has developed good relationships with a number of Republicans and is widely seen as an effective ambassador for the company on Capitol Hill. Asked about Sandberg's message, Conaway said "they are leaning into this issue" — a play on her best-selling 2013 book "Lean In." Schiff and Conaway said the committee would eventually release to the public the information that Facebook has shared with lawmakers. But, Schiff said, he wants to make sure that Facebook helps "scrub" personally identifying information from any of the materials that would be made public. Sandberg declined to answer any questions from reporters. Schiff said he believes Facebook is giving the investigation the attention it deserves. "I think they are certainly taking it seriously," he said. "And they know we're all taking it seriously." Kasie Hunt and Alex Moe contributed.